Jimmy Quinn: Stick it in your brain. 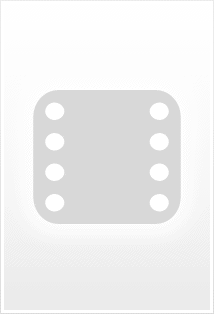 Your tiny little brain! 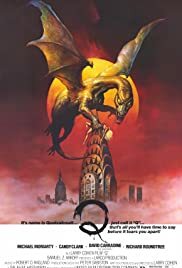 This flick is a distinctive and haunting oddity , concerning about a winged serpent , a dragonlike , which carries out creepy killings , happening in N.Y. City . A pair of detectives (David Carradine , Richard Roundtree) are investigating the strange events . As the giant winged bird hungry for sunbathers and rooftop construction workers . Thanks help a delinquent (Michael Moriarty) who encounters the monster's hidden nest on the Chrisler building , detective Sheperd discovers that several murders committed in violent manner have been executed as bloody sacrifices to Aztec God named Quetzalcóatl , a feathered serpent whose two halves are a serpent and a bird . This is a rough-edged chiller and results to be an entertaining return to monster movies from the 50s . Simple and stop-motion monster special effects by recently deceased David Allen , usual to 'Full moon' and 'Empire' Factory . Good cast as an overacting Michael Moriarty and David Carradine , Richard Roundtree as Police Inspectors ; and nice support casting as Eddie Jones and Candy Clark as crooks'fiancée . The film is well produced by Samuel Z. Arkoff who along with James H. Nicholson financed numerous movies of various genres , including monster movies , during the 50s, 60s , and 70s for their production company called ¨American International Pictures¨ . Atmospheric photography by Fred Murphy who has a successful career as an expert cameraman . The picture was compelling and originally written/realized by Larry Cohen . He's a B series craftsman , such as : terror genre (Stuff , Return to Salem's Lot , It's alive I ,I and Island of the alive) , hard hitting crime films (FX , Ambulance) and Blaxploitation(Black Caesar , Hell up in Harlem , Original gangsters) ; plus , a prestigious screenwriter (Phone booth , The ex , Invasion of privacy) and usually writes all his own scripts . This is a cult movie to be liked for chillers and monster films admirers .